*Please note: the super king size option will be delivered flat and on a standard delivery lead-time. We all love the feeling of slipping into a fresh, clean bed so you'll love our cosy touch, Allergy UK approved, anti-allergy cover. 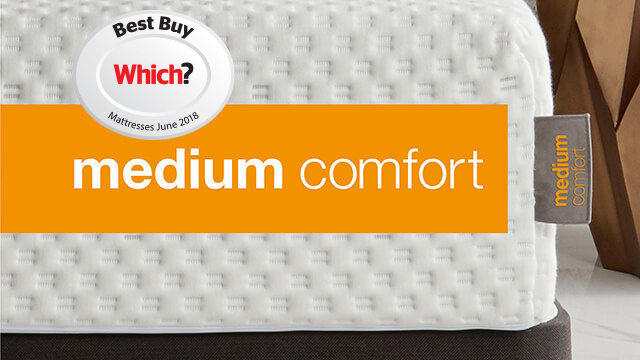 It wraps your mattress in an ever so comfy soft-touch knitted finish that will lull you to sleep every night - and make sure you wake up refreshed and ready to go every morning! 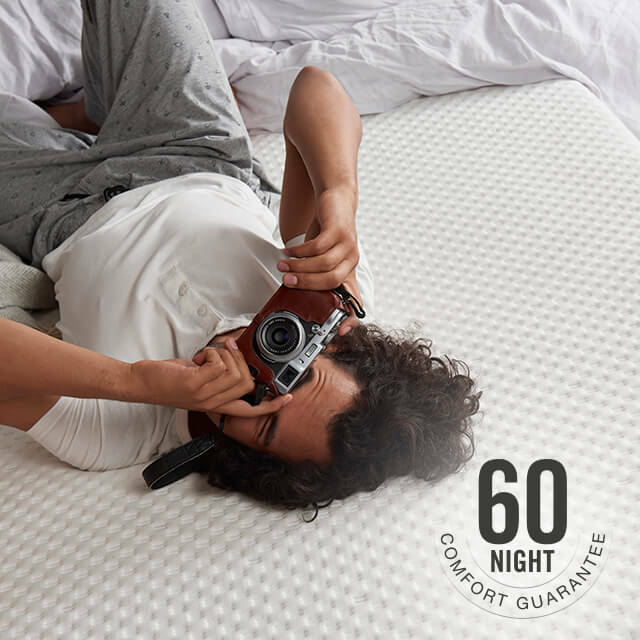 Sleep better, wake up brighter thanks to our unique gel infused comfort layer that comes with highly elastic Active Response technology, which creates an energised "bounce-back feeling" to assist easy movement though the night for an undisturbed sleep. This gives you more 'get-up and go' energy for a healthier, more active lifestyle. Spreading your body weight and providing support where you need it, reducing the pressure where you can't. With your Studio mattress you won't sink in and any aches and pains are soothed away. 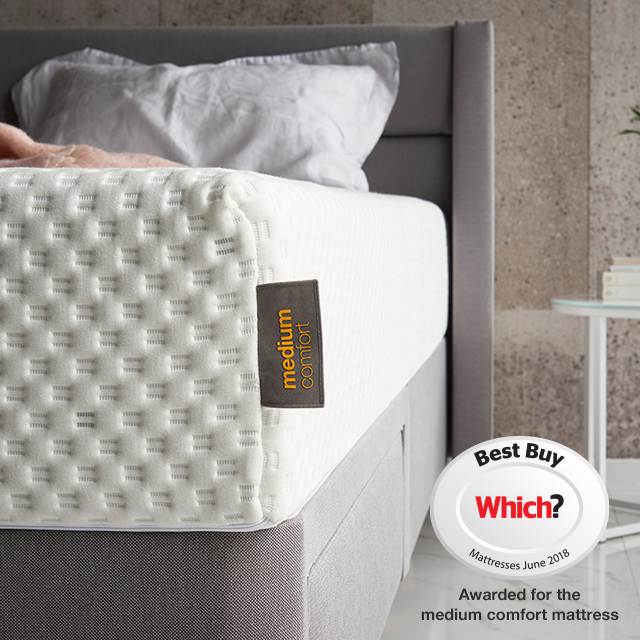 The high density Studio Flex foam core in your mattress matches the comfort rating you choose and provides profiled support tailored to your body shape. And, even though it's lighter than traditional springs, it's just as resilient. So, whatever you get up to during the day, you're guaranteed a great night's sleep. When it comes to sleep, we’re all a little different. 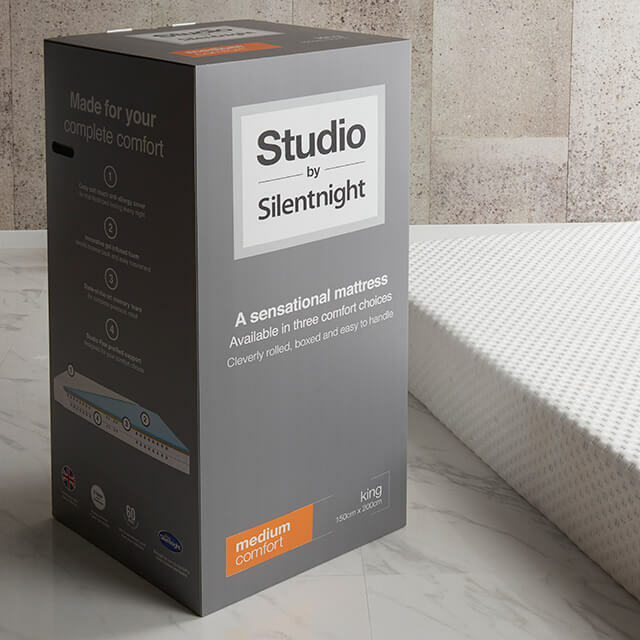 Studio is available in three comfort ratings to suit your sleeping style. Have a look at our quick guide below to find the perfect comfort rating for you. 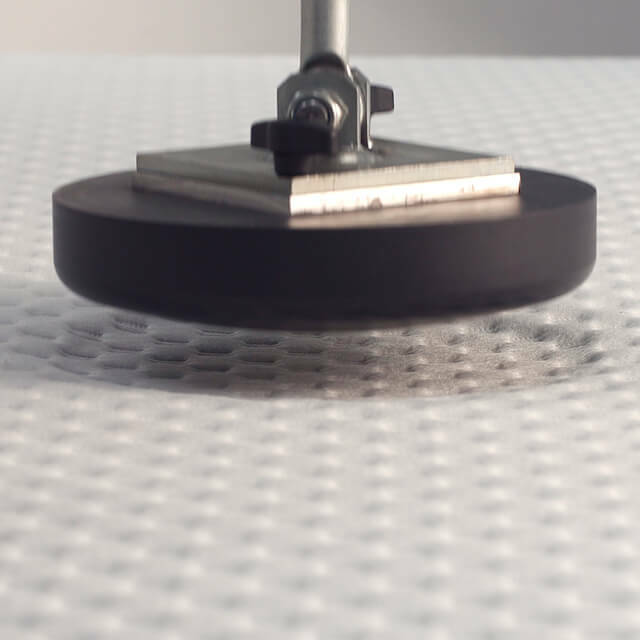 Like a soft surface that hugs you to sleep? Choose softer and snuggle in. 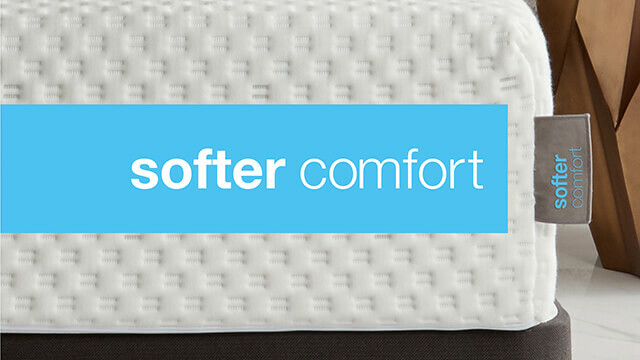 Is softer right for you? If you're the more petite type or you prefer to sleep on your side, then a softer mattress is perfect. It'll cushion your shoulder and hips and caress your tired bones. Neither on the firm side or on the soft side - a happy medium! Is medium right for you? Maybe you go for the best of both worlds? Well plump for medium - not too soft, not too hard, but just right. In general, a medium mattress would suit the majority of sleeper types. Prefer a little more support when you sleep? 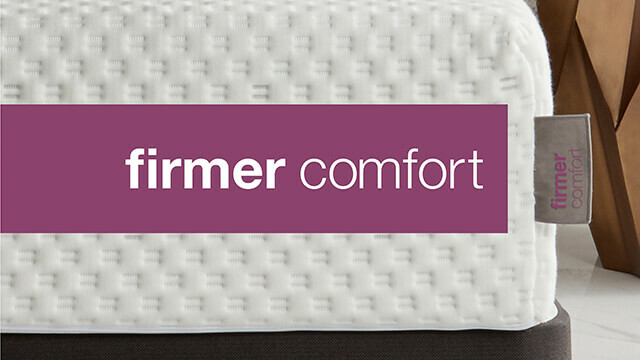 Then firmer has your back. Is firmer right for you? Studio bedframes and mattresses are handmade in our UK factory to the high standards that we are famous for..